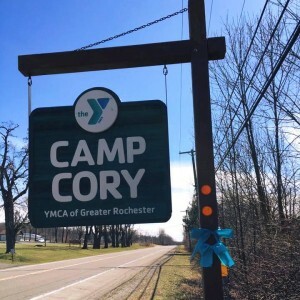 Camp Cory's Counselor In Training program aims to train participants to be effective leaders and to understand the necessary qualities and responsibilities required to be a camp counselor. Camp Cory enables all program participants with the tools to be leaders in the camp setting and the community at large. CITs pursue the study of leadership and camp programming. Participants will gain experience by observing and working with campers under the direction of the Leadership Director and Coordinators. 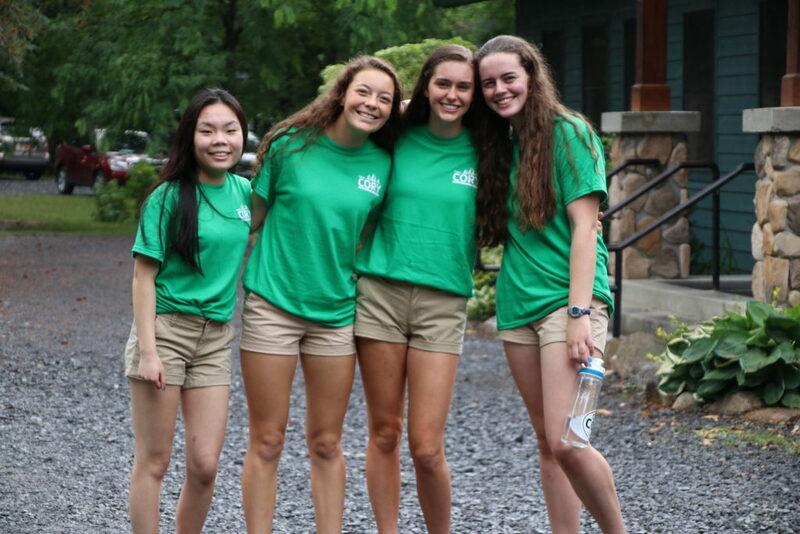 CITs expand their leadership skills by shadowing counselors, taking certification courses, and participating in various activities and workshops that will prepare them for working with campers. The CIT program is designed to serve as a transition from camper to counselor. The program is three consecutive weeks and is designed to make this transition smooth and meaningful. 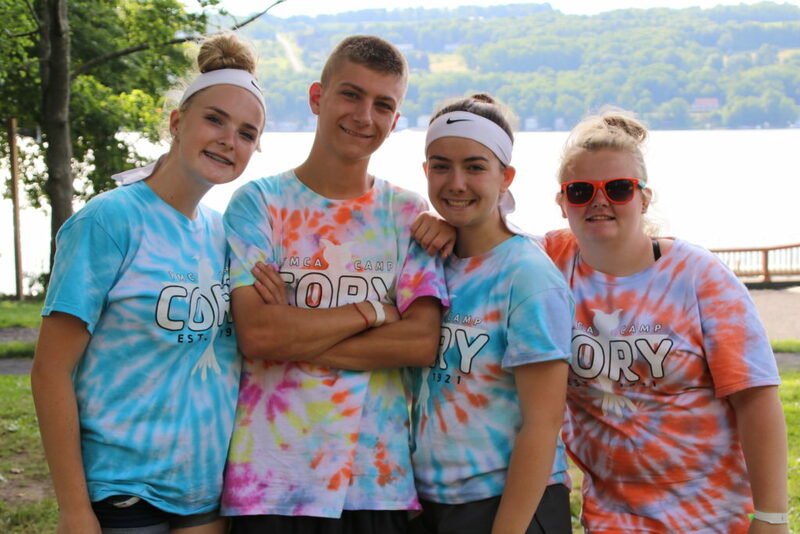 Upon completion of the CIT program, many participants choose to become Camp Cory staff members to give younger campers an experience as meaningful as their own. Because of the important work we do with children at camp, we take the training of our young leaders and future counselors very seriously. Teens who will be 16 by December 1, 2019 may apply. We also accept 17 year old applicants who have not been through the CIT program previously. Interested individuals who have not been to Camp Cory are more than welcome to join the program. Participants must be available for all 3-weeks and are required to remain at camp during the first weekend holdover of their program. Why is the age of a CIT important to their Cory Career? 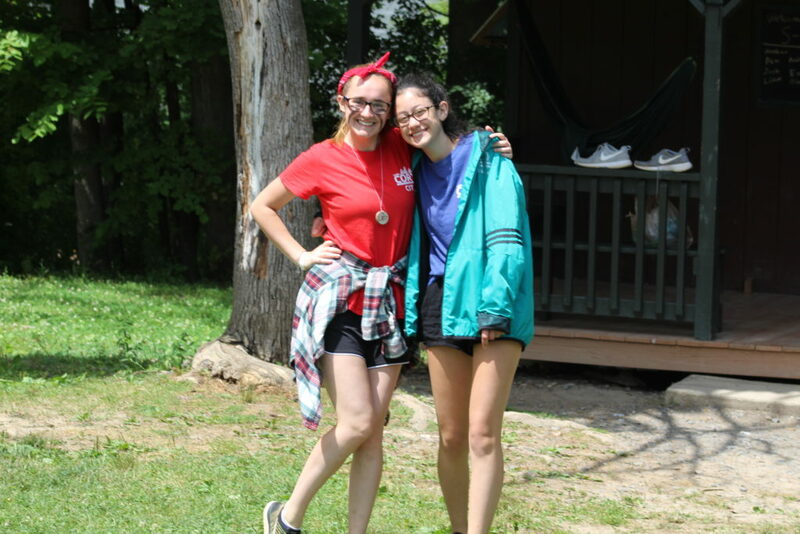 Age 16, CIT: as a Counselor in Training, your child will learn to act as a counselor under the direct supervision of our leadership team and the Camp Cory staff. Three weeks of training are included in the program with an optional fourth week Internship that is based on an at-camp application and interview. Age 17, Assistant Senior Counselor: after applying for this competitive position, your child will act as a true counselor for other campers with the guidance of an older staff member. Contracts may be shorter than the full eight week summer and not all individuals who were CITs are guaranteed positions. Age 18, Senior Counselor: at age 18, your child may apply to become a Camp Cory counselor for all eight weeks of the summer. In this position, they will guide their campers and help to train younger counselors and CITs. From here, your child may go on to become an Activity Chief, Village Head, or even a member of the leadership team in which they’ll train a new group of CITs. Special Notes: as a 15 year old CIT (who will be 16 by December 1st), your options for employment the following summer are extremely limited. 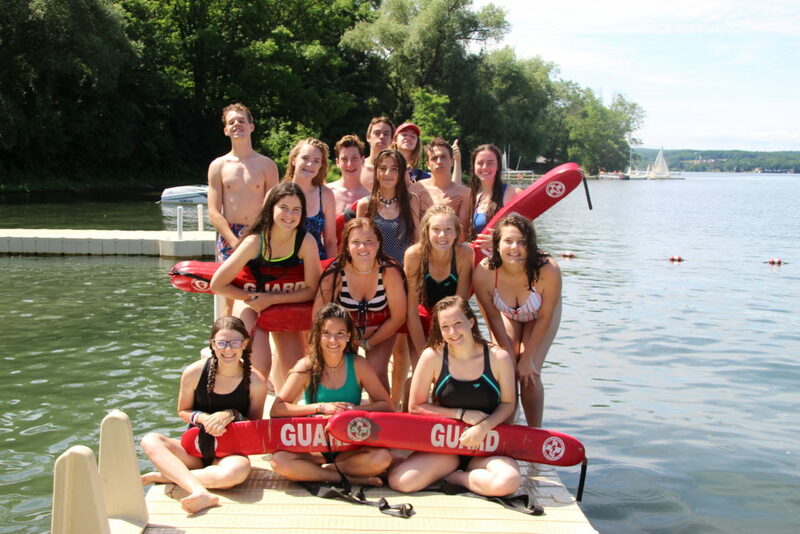 CITs who are 15 during the summer months are also able to be campers in traditional camp or sailing camp prior to their time as CITs, though it is not highly recommended. They may not be campers after their time as a CIT as this does not fit with the progression of the CIT program. CITs will spend one week with together with their cohort living in CIT cabins and beginning their leadership training. From there, the group will spend the remaining two weeks acting as Counselors in Overnight Camp cabins. The program will focus on four essential learning areas: safety awareness, teaching and facilitation strategies, behavior management and mediation, and a facilities focus/camp nuts and bolts. During their time, they’ll learn to manage homesickness, behavioral issues, and various other camper situations. Certification Training: All CITs will participate in CPR and First Aid training during their first week at camp. They will then have the option to pursue certification as Lifeguards. Those that choose to pursue this certification will spend 3 hours each day for the following 2 weeks practicing in-water rescues and working on swimming endurance. Those that opt out of this process will undergo an equally as rigorous activity area program that will focus on curriculum development and teaching strategies in camp’s program areas. At the completion of the program, a small number of applicants will be asked to stay for an unpaid, 1-week internship as an extension of their learning as a CIT. The internships are awarded based on attitude, work ethic, and the participant’s commitment to the camp experience. The internship is offered for one week following each CIT program. Applications and interviews will be conducted during the CIT’s time at camp. Participants offered an internship have no obligation to accept. Applications are now open. Applicants must submit their online application by December 15th, 2018 to be considered for the program. Interviews will be scheduled between December 15th and January 15th so that determinations can be made and shared with families by January 31st, 2019. Determinations will be made based on applicant availability, application completeness, and group dynamics. Once determinations are sent, families should submit an Overnight Camp Registration Form and deposit through the Parent Dashboard. Applications Include: Cover sheet and questions, personal statement, and 3 references. Participants must also complete 6 hours of volunteer work. Applicants should plan to answer questions about their time as campers and their motivations for becoming leaders at camp. They will also be asked questions regarding role modeling and leadership. This is also a great time for applicants to ask any questions they may have about the program. CITs will study and discuss leadership traits as well as put them into practice with campers, their peers, and camp staff. The friendships you collect at camp are some of the most meaningful, and living with a cohort of 18 of your peers helps build even stronger bonds. Working directly with campers while living in a cabin with them as well as assisting in activities is a great way to inspire them to achieve. All CITs participate in First Aid and CPR for the Professional Rescuer certification trainings and have the option to pursue Lifeguard training.